I was aware about the Wenger leather pouches. This one I had not seen close before now and I am glad I found one. 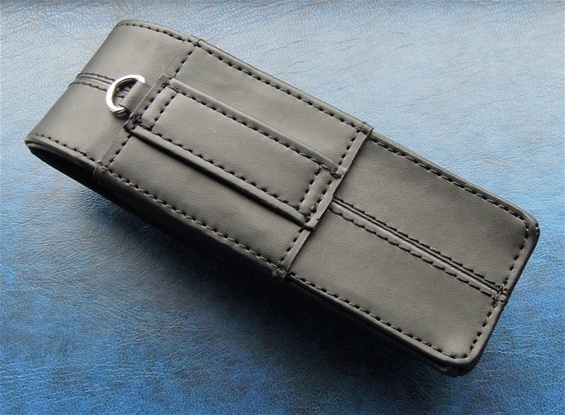 This one can actually be carried sideways and vertically and it is made of a leather material. 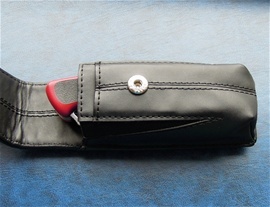 The nylon pouches made by Wenger were an upgrade of the older types and they are extra quality made. Many of them were released on a late date in the Wenger history. This one has a number AF.6.068.025.000. There is plenty of room for the 130mm New Rangers that got some extra functions. I would say this leather one is also an upgrade of some of the older types made. There are two small openings for bits or additional devices and there are a material in combination with the leather for stretching that also functions as a cool design. The inside is not leather, it got a softer material. 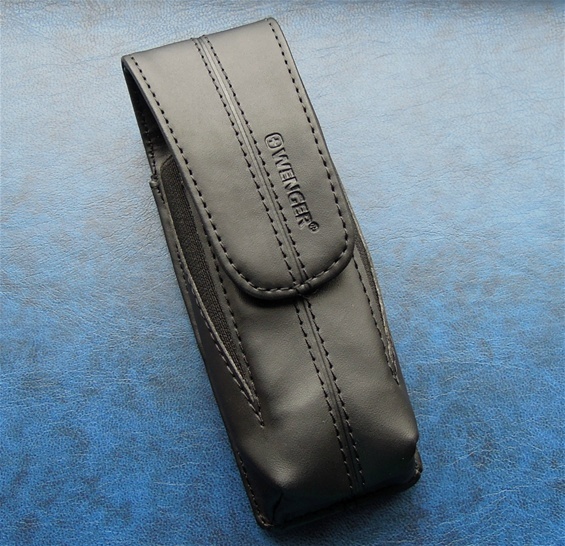 Many areas of the pouch are double with either double leather or a combination of two materials. It got a push button for opening and closing. I like it! It got a metal ring on the backside that can be used for extra safety or to hang it up after use. It can be used to many things..